It’s beginning to look a lot like Christmas! OK fine – it’s definitely looking a lot like Christmas especially for Buffalo, which is still holding all the snow for us! I’ve recently tried out a couple of new albums and if you’re still looking for some great music to play at home for Christmas eve tonight, then I strongly suggest you try one of these. America is not known for its boys choirs. Heck – when you hear of boys choirs, you probably think of Vienna or Westminster. Fortunately times are changing because the most beautiful music has just come out with the St. Paul’s Choir School in Cambridge, MA. Christmas in Harvard Square is full of traditional choral music that is perfect while opening presents or dining with the family. It shouldn’t be relegated to background music though because the singing is amazing! Available for download on iTunes and Amazon, I highly recommend listening to this, but if you hear no other song on this album, listen to the 2nd track, O Magnum Mysterium. It’s gorgeous. Just gorgeous. Classic FM wrote a nice article about it here. While digging around a bit though, I found this informative behind-the-scenes look at the St. Paul’s Boys Choir and the making of this CD. It’s really fun to see how things are made. This is a choir made up of young boys in 4th, 5th and 6th grade – maybe higher, but the quality of singing is incredible from such young people. 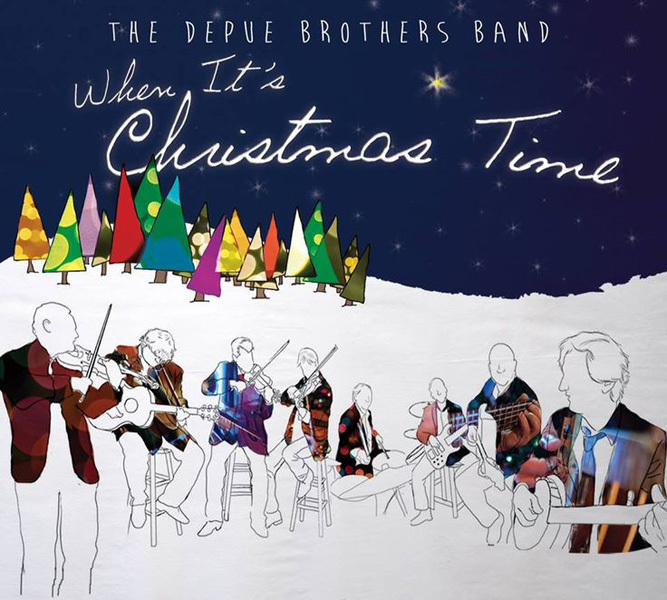 Now if you’re looking for a bit of fun in tonight’s Christmas music, this is the album you want: The DePue Brothers Band. You know Zach DePue from the string trio Time For Three, or as the Concertmaster of the Indianapolis Symphony Orchestra, but did you know he has three brothers who also play the violin? Heck – one of whom, Jason, plays for the Philadelphia Orchestra! There is some impressive fiddle playing to be heard! This is one talented family and they’re from right here in Ohio. Plus – they have a good sense of fun and, together with a few friends, have released a couple of albums including this latest album, When It’s Christmas Time. This is a great album filled with instrumental versions of favorites like Sleigh Ride, The Christmas Song, Good King Wenceslas and others as well some exciting tunes such as Banjo Medley, Linus and Lucy and Fat Man – the vocals are fun on that one! This is also available for download on iTunes and Amazon. Heck – if you’re still out shopping, pick up the CD itself. You can’t go wrong with either one of these two Christmas albums. Trust me – I would not lead you astray! Enjoy and have a very Merry Christmas!! 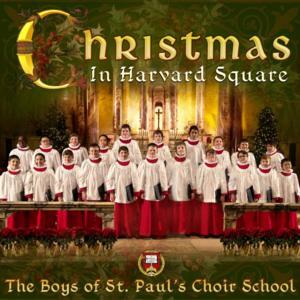 Tags: Cambridge, Christmas, Christmas music, DePue Brothers, DePue Brothers Band, Harvard, St. Paul's Boys Choir, Violin. Bookmark the permalink.